At the heart of the Picote system are the powerful Miller units. 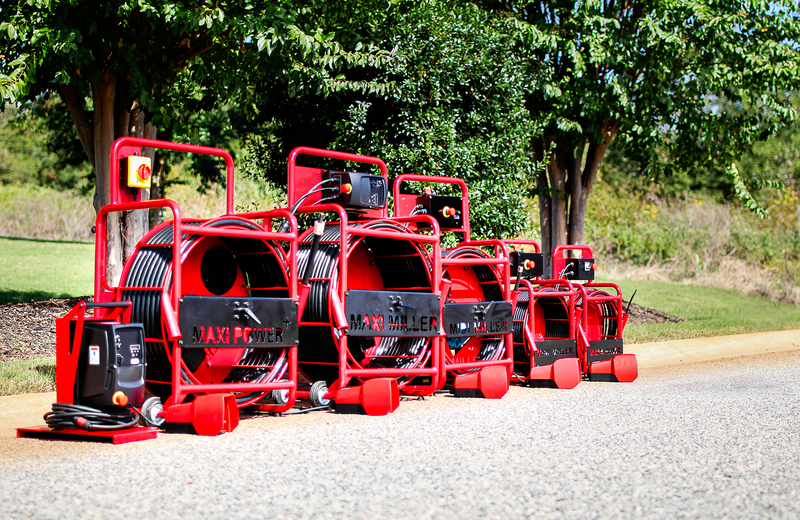 Five models ranging from the compact and lightweight Micro-Miller for short shots in 2.00–4.00" pipes to the Heavy Duty Maxi-Miller Power Plus with a 59' shaft and the capability to work in pipes as small as 4.00" and as large as 12.00" in diameter. 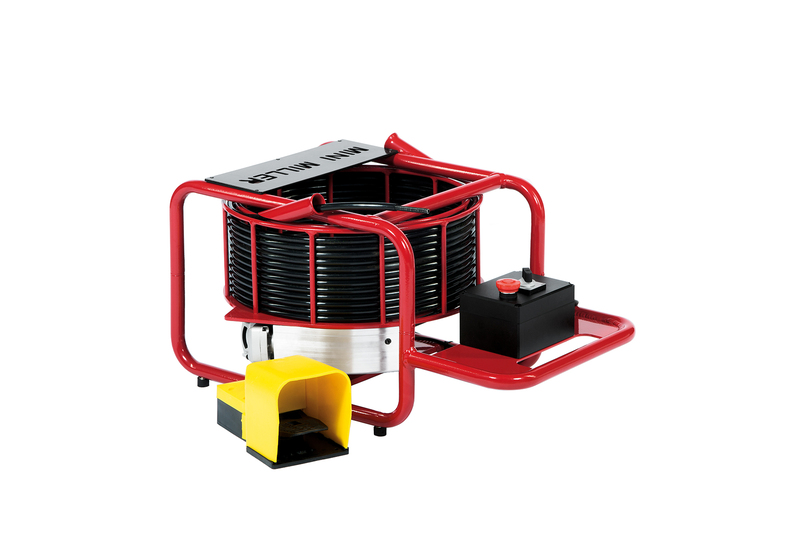 These Millers can power the award winning Smart Cutters, Twisters, liner removers and pipe cutters in lining operations and can also operate the powerful range of grinding chains for highly efficient drain cleaning. The most popular choice in small diameter pipe, the compact and convenient Mini-Miller has a 55' range with a 1/3" shaft and is for 2.00–3.00" pipes with lateral cutters and 2.00–4.00” drain cleaning. The compact and lightweight Micro-Miller has a 39' range with a 1/3" shaft and is an economic choice for 2.00–3.00" pipes with lateral cutters and 2.00–4.00" drain cleaning. The most popular model, the Maxi-Miller is an efficient powerhouse that features a high-performing electric motor delivering the most torque downhole. 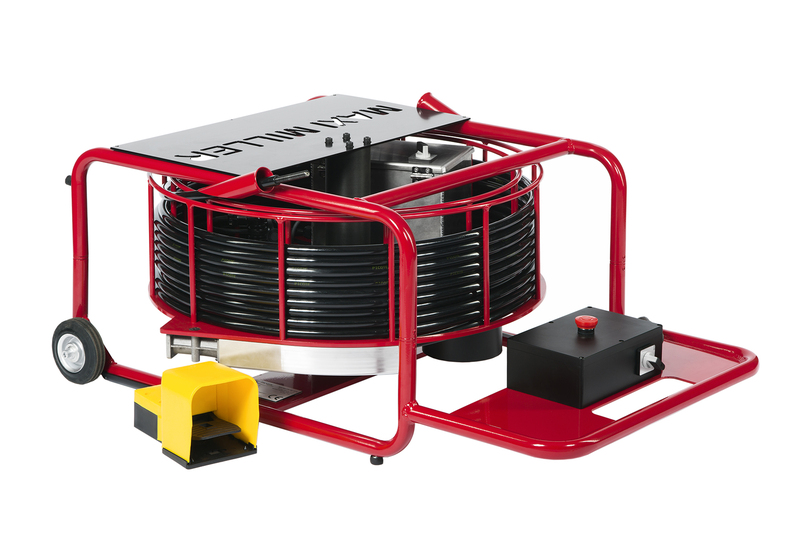 This unit features a safety clutch and includes an impressive 110' of 1/2" cable and is suitable for drain cleaning, pipe cutting or powering the Smart Cutter and Twisters inside diameters 3.00–8.00". An adapter for 1/3" shaft is available for 2.00" drains. The Maxi-Miller has a push/pull system and glides for maneuvering stairs and includes a locking system that keeps the shaft steady during transportation. 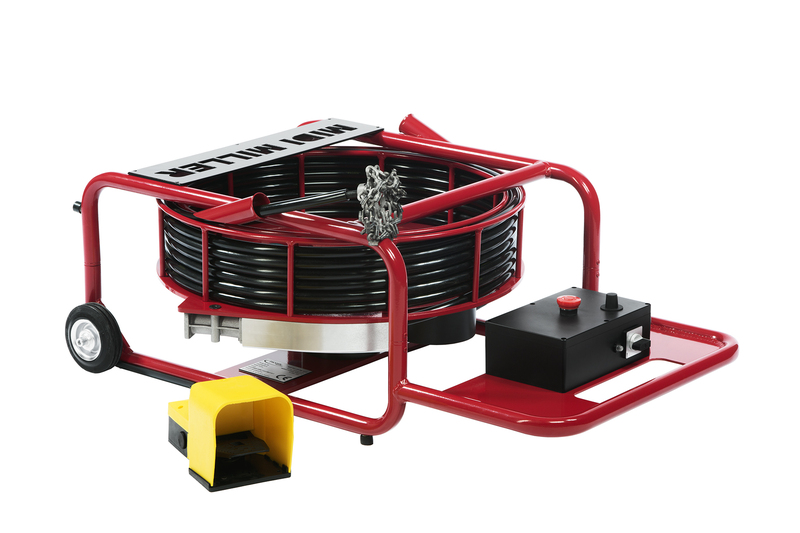 With 39' of 1/2" cable, the Midi-Miller is suitable for drain cleaning, pipe cutting or powering the Smart Cutter and Twisters inside diameters 3.00–8.00". An adapter for 1/3" shaft is available for 2.00" drains. The Midi Miller also features an electric motor and safety clutch. With a push/pull system and stair glides for easy transportation the Midi–Miller is a great all-round machine. The Maxi Miller Power Plus is a new, powerful and efficient multi-use trenchless system from Picote. It allows the use of Picote’s unique tools in 6-12” pipe. (3-4” inside straight pipe). 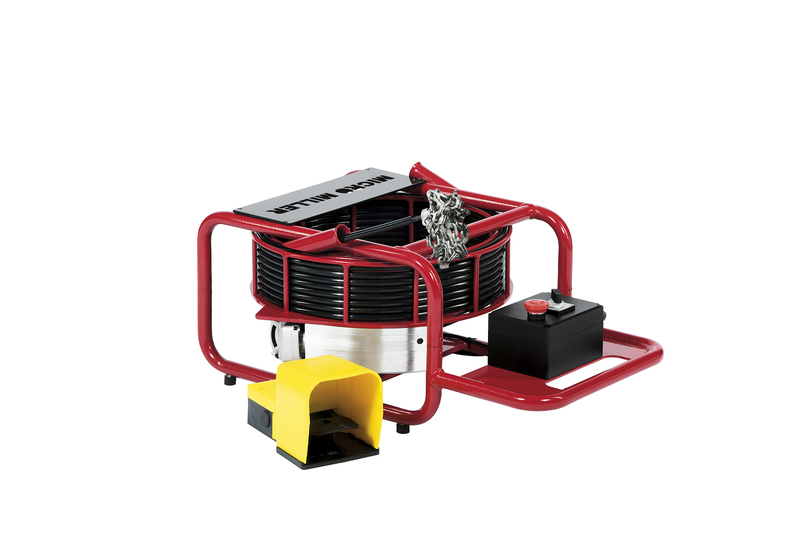 The Miller Power Plus System is designed for faster lateral reinstatements, even higher speed drain cleaning and more efficient collapsed liner removal. The Power Plus provides double the power compared to the regular Maxi Miller (3kw vs. 1.5kw).